The short answer is yes. President Obama is much more interested in family planning around the world than his predecessor ever was. One of Obama’s first acts upon assuming office in 2009 was the restoration of funding for the United Nations Population Fund (UNFPA). Reinstated U.S. funding will help the agency pursue its goals of universal access to reproductive health services, universal primary education and closing of the gender gap in education, reducing maternal and infant mortality, increasing life expectancy and decreasing HIV infection rates. 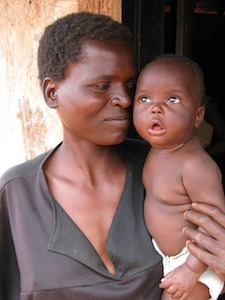 Along with restoring UNFPA funding, Obama also overturned the so-called “Global Gag Rule” that prohibited groups funded by the U.S. Agency in International Development (USAID) from using any government or non-government funds for “providing advice, counseling or information regarding abortion, or lobbying a foreign government to legalize or make abortion available.” Foreign nonprofits were already not allowed to use U.S. funds to pay for abortions, but the Global Gag Rule—first instituted as the ‘Mexico City Policy’ in 1984 by the Reagan White House, then overturned by Clinton and later reinstated by George W. Bush—went further by restricting the free speech rights of government grantees and stifling public debate on the contentious topic. Foreign NGOs that accept U.S. funding still cannot perform abortions, but can discuss the options openly with the families they serve. Of course, advocates for increased family planning are pressuring the Obama administration to step up its efforts aboard even more. The Institute of Medicine, one of four government-affiliated nonprofit “academies” of experts, recommended last spring that the U.S. increase its spending on global health by some 50 percent over the $63 billion pledged by the Obama White House over the next six years. Groups providing family planning services domestically would also like to see the Obama administration step up funding for their programs, not only to improve the quality of life for American families but to save money and reduce abortions as well: A 2009 report by the nonprofit Guttmacher Institute concluded that publicly funded family planning services at both hospitals and non-profit clinics saves taxpayers $4 for every $1 spent by preventing nearly two million pregnancies and 810,000 abortions per year.